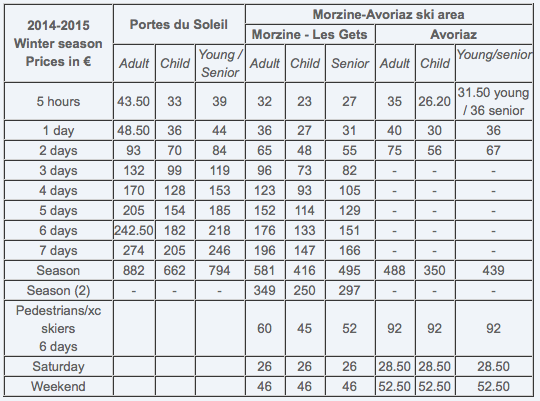 Morzine and Portes du Soleil Announce Lift Pass Prices! That’s right! Wowsers, just over 3 months until the first lifts in the Portes du Soleil area open in Morzine! We know it seems crazy, but the early bird catches the worm, or fresh tracks (!) so it’s best to be organised! Mountain Mavericks offers options to suite everybody when it comes to accommodation in Morzine! From our baby friendly weeks to taking over a whole chalet with friends or family and even our sister Hotel L’aubergade, we really do have something to offer everybody for their ski or snowboard holiday! Take a peek at this winters prices and click here to see the amazing offers available for early booking of your lift passes! The lifts in Morzine – Les Gets open from December 20th and for the Portes du Soleil they will be taking you up the mountain from December 21st to April 19th. Don’t forget to get in touch to find out availability across all our beautiful Chalets and Hotel! Next: Revitalise your Ski Wear!